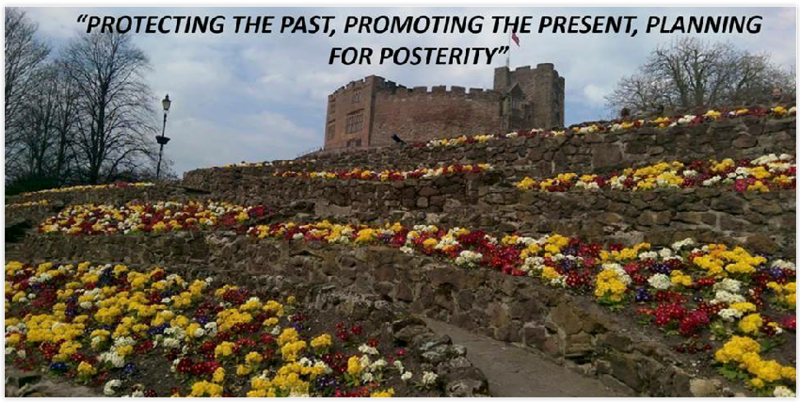 Our Chairman's address to the Rotary Club of Tamworth Anker on 25th July 2016 at Drayton Manor Park went well. The club's Speakers Secretary wrote afterwards that David had spoken "to magnificent effect and simply 'nailed it'. I've been at a few Rotary talks and I can't remember seeing so many rapt faces leaning forward to catch every word." After the Talk we welcomed another Rotarian and his wife as members of TDCS. More than one third of the membership of the Rotary Club of Tamworth Anker have joined TDCS since we were established. Rotary International is the planet's premier humanitarian service organisation, supporting education and economic development, improving health and sanitation, and promoting peace the world over. Rotary’s 1.2 million members in 34,000 Rotary Clubs are business, professional and community leaders from over 200 countries who have a shared commitment of ‘Service Above Self’ and improving communities. 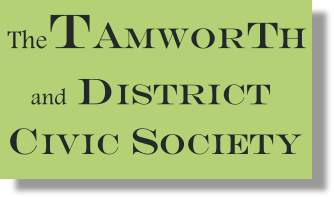 The Rotary Club of Tamworth Anker was chartered in 1982, and was the second such club to be formed in the town, after the Rotary Club of Tamworth (1948). Anker Rotary has a good relationship with the ladies of the Inner Wheel Club of Tamworth Anker, who, coincidentally, invited our Chairman to address them the following day. 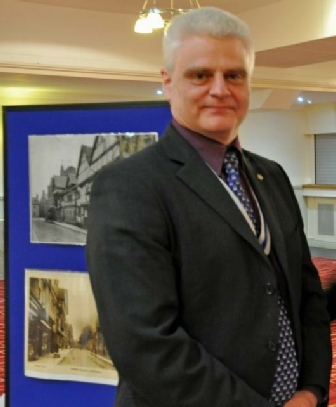 TDCS Chairman with a display of Church Street's lost heritage. 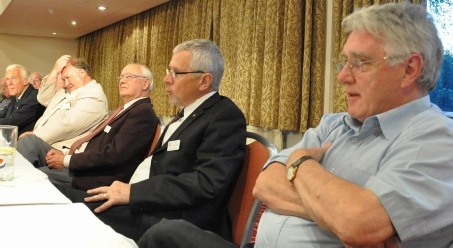 Rotary members engaged in lively debate about the state of Tamworth. The TDCS message is well-received.